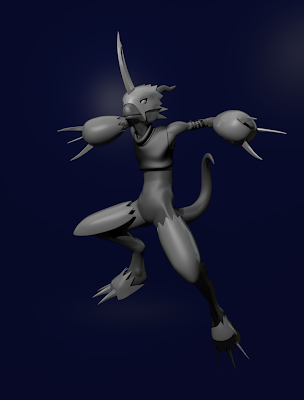 I stepped back into early adolescence for this model - back to my Digimon days! This was just a project I worked in my down time to stay busy practice a little bit with Blender's rigging system. Everything was done in Blender - modeling, sculpting, retopo, rigging, posing and rendering.